The 4th December is the day when Christian families in Lebanon plant grains or pulses in small containers which will grow in time for Christmas to be placed around nativity sets. It is also the feast of Saint Barbara, a feast celebrated by Eastern Churches. Barbara lived locked up in a tower near Baalbek in Lebanon sometime in the 2nd century. When she converted to Christianity she had to flee an angry father and Roman soldiers. The legend says that she was able to transform herself into various creatures and characters to elude her pursuers but she was eventually found and killed. To commemorate her life, masked children wearing costumes, go from house to house chanting a short rhyme that recounts her story. 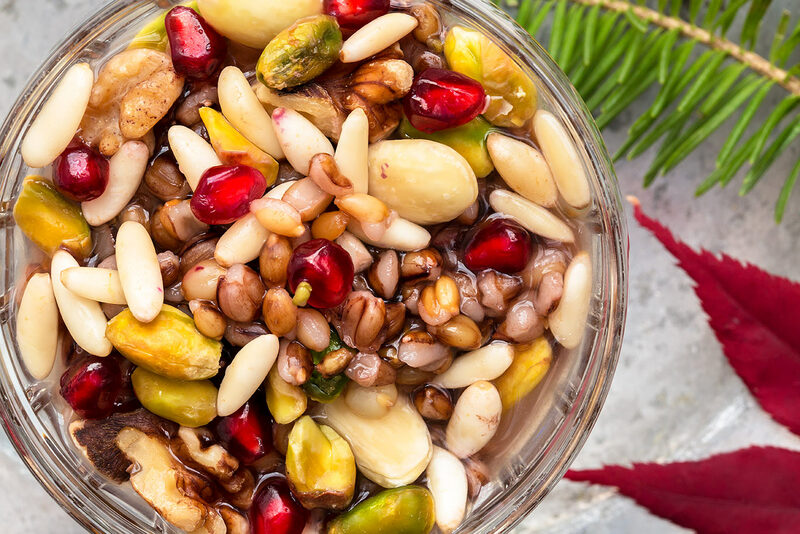 They are then rewarded with a bowl of Qamhieh – boiled wheat grains mixed with aniseed, sugar, nuts and pomegranate seeds. You may substitute whole-wheat berries with barley. Soak the nuts in water for 1 hour and drain the water as needed. The nuts will keep for a week in an air-tight container in the fridge. Cook the wheat or barley covered with 6 cm water, for 40 minutes until soft but still with a bit of a bite. Add the aniseed and leave to infuse for 5 to 10 minutes. Incorporate the sugar and stir to dissolve. 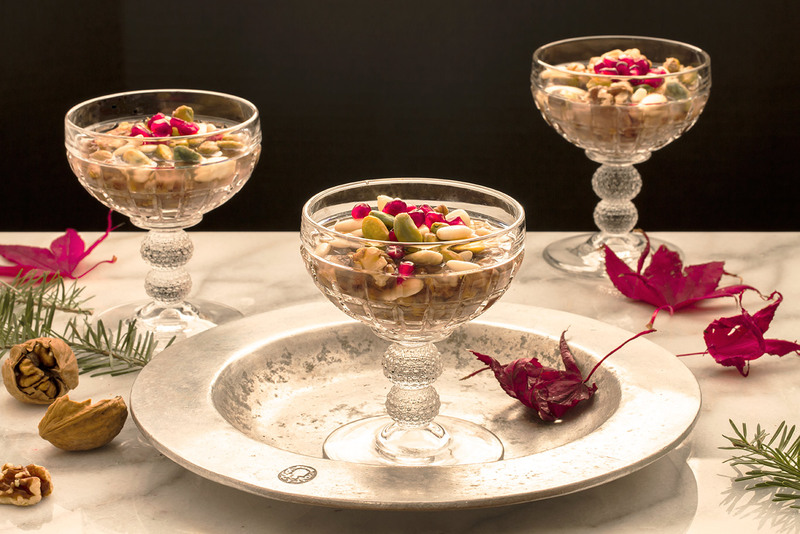 Serve a ladleful of warm wheat or barley in individual bowls and garnish with nuts and pomegranates.